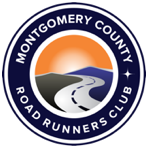 Ins and Outs is a bi-weekly e-newsletter of the Montgomery County Road Runners Club. Club members who would like Ins and Outs delivered directly to their inbox may join mcrrc-info, the club’s main Yahoo Group for distributing electronic information to its members. Please see the Yahoo Groups section of our website for information on how to subscribe. Current and archived copies of Ins and Outs are available below. If you have news or information that you would like to see published in Ins and Outs, or any other questions or comments, please email Ins_and_Outs@mcrrc.org.